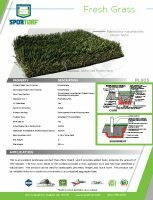 The thatch in this product provides added body, reducing the amount of infill needed. Available in two colors, this product can match indigenous colors as needed. 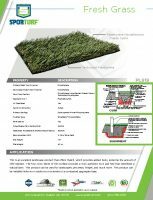 This product can be used for landscaping, playgrounds, walkways, pet areas, and much more. This product can be installed indoors or outdoors on concrete or a compacted aggregate base.